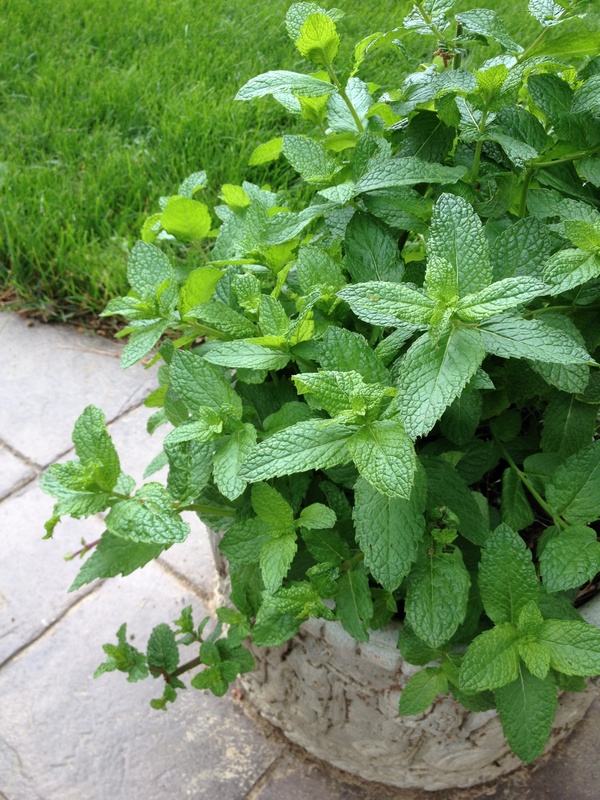 I had always heard of mojitos, but I never paid much mind until I planted some mint early this summer and now I have to figure out a use for it all! The next step is to “muddle” the leaves and sweetener together. This breaks down the mint leaves and releases the flavor. You could buy a special wooden muddler, which is a small baseball bat shaped stick, about 8″ long. But I just use an olive-wood spatula, or you could use the end of a wooden spoon. Fill the highball glass with ice, and top with tonic water (most recipes call for soda water, but I have a long affinity for gin and tonic, so tonic is readily available in my house). I also like the more bitter taste of tonic rather than soda water. 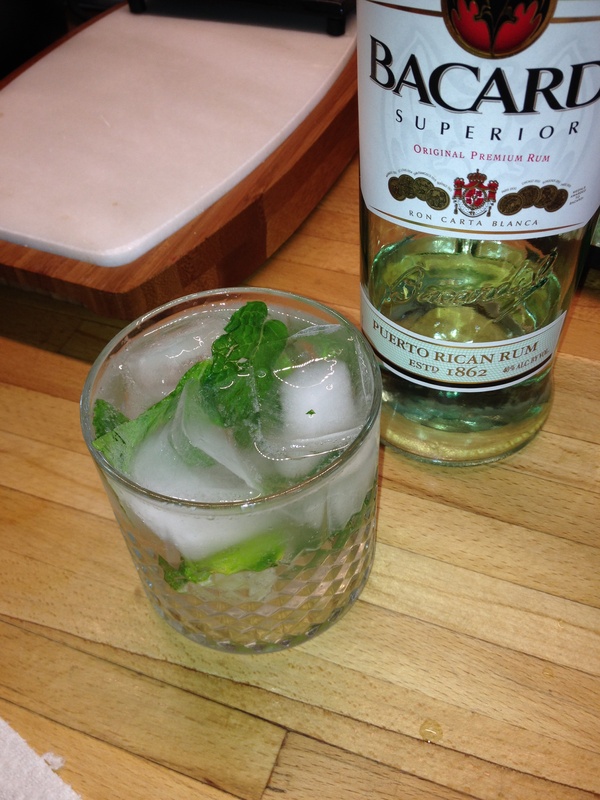 My completed Mojito, ready to enjoy! And that’s it! A perfect summertime drink, especially if you’re growing mint. I wonder what a variation with basil would taste like? If you have any cocktail recipes featuring basil, or any other herbs, please let me know! ← Mannington Adura Vinyl Plank Flooring–I’m in love!